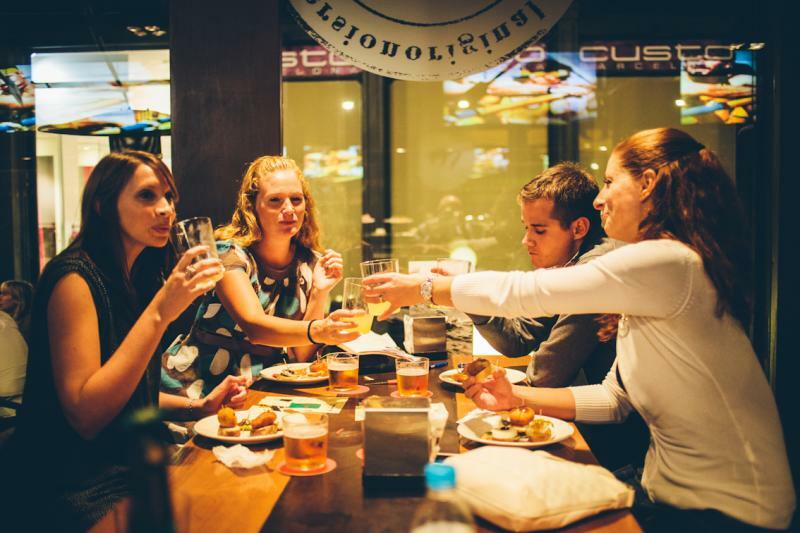 You will be welcome to the tour with a glass of wine in a Gastronomic Center created under the slow food philosophy and open to offer experiences to Foodies and travelers who visit Barcelona. 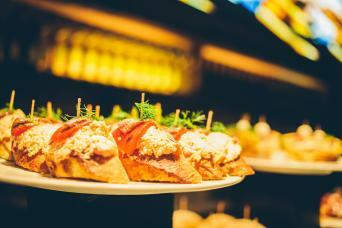 Your food specialist guide will lead you through Barcelona's most famous street, La Rambla. From here you and your guide will go to La Boqueria, the city’s famous food market, which offers an array of fresh produce including fruit and vegetables, seafood, cheese and any type of meat imaginable. You will taste traditional products at the market. You´ll continue through the Gothic Quarter, where you will discover the architecture, atmosphere, language and gastronomy that are unique to Spain, and some of the gourmet shops which are over 100 years old. You will stop a specialty store in Iberian Ham, where you will try this mouth watering cured meat. The tour will stop at two restaurants offering a wide selection of local, delicious tapas. 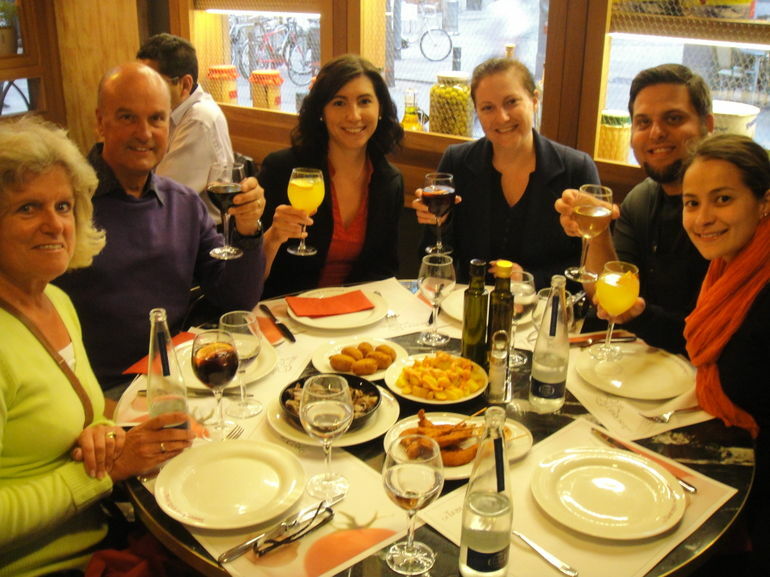 You will finish our tour full of great food, tradition, good wine, good conversation and have a better understanding of the Spanish and Catalan culture, history, and how to live like a local. Your last stop will be an authentic Flamenco Show in a Gothic Palace of the 17th century in the heart of one of the trendiest neighborhoods of Barcelona. The palace is absolutely stunning and the surroundings make you feel like you´ve stepped back in time. 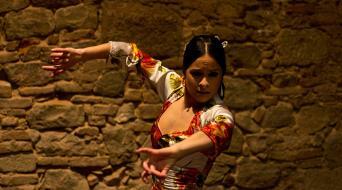 It´s the perfect place to escape the hustle and bustle of El Born. A bottle of water in summer, as it gets hot and humid. Wet weather gear if rain is expected.